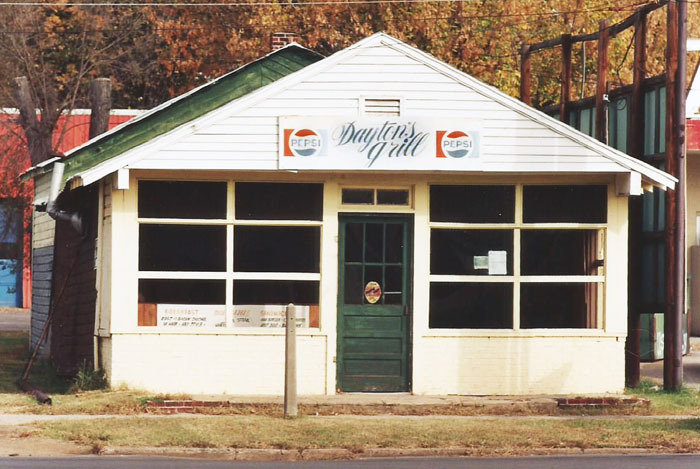 I’m told that this was a popular gathering place for maybe 30 years in Lovedale. It was located right about where Bloomingdale Pike wyes off West Sullivan. Note the concrete post in front. I’m pretty sure that held a U.S. Postal Service mailbox. Lovedale was once called Peltier, a transitional commerce area before new Kingsport came into being. This entry was posted in Bob's photos and tagged Kingsport TN, Lovedale, Peltier, transitional commerce area on June 29, 2014 by Bob Lawrence. Yes, that’s where it was. Painted light green before it was torn down. My buddy was one of a group of guys who used to gather there. The IRPCO building, as I’m sure you know, was built as the Coca-Cola bottling plant for the Kingsport area. I think the slightly steep ramp up to the second floor in the back was for trucks to load in supplies. Ah, the chili can make a hot dog great! I used to fry honey buns at home (Mom would let me near the stove. I was pretty careful)…in butter. So good.